The Assos armWarmer_evo7 Arm Warmers are designed for use during those cooler moments when wearing a short sleeve jersey, providing lightweight insulation for optimal comfort. Constructed from RX Light fabric because it is thermal, elastic and breathable. This means you will be kept warm, with the best fit, but will also allow you to stay cool. A gentle-yet-firm elastic loop at the top keeps the side-specific arm warmers from falling down during use. 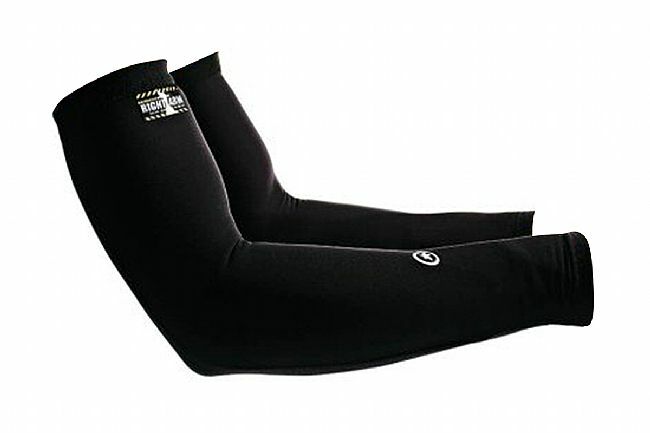 The Assos armWarmer_evo7 Arm Warmers are available in 3 sizes from 0 (XXS - XS), to II (L-XL).